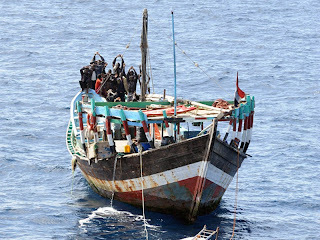 A request for assistance from a South Korean Merchant Vessel in the Indian Ocean on 10th February led to Combined Maritime Forces (CMF) warship HMS Cornwall securing the release of Yemeni crew of a pirated dhow from their 17 Somali captors and returning the fishing vessel to its rightful owners. Items found with the dhow confirmed that it was acting as a ‘mother ship’ for Somali pirates who had captured it on 11th November 2010. 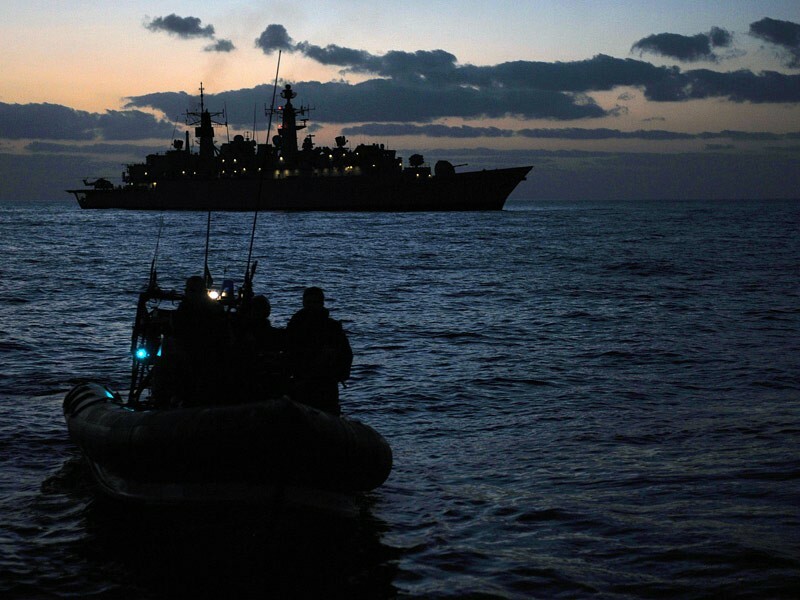 HMS Cornwall is currently the Command Platform for Combined Task Force (CTF) 151, the counter-piracy mission of CMF. On 10th February Cornwall’s Officer of the Watch observed a dhow acting suspiciously and received a distress call from the South Korean Merchant Vessel Yong Jin reporting a potential pirate threat. 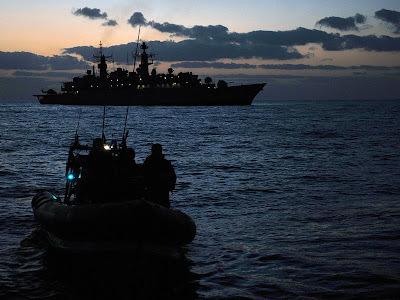 HMS Cornwall’s arrival on scene disrupted the attack, and the warship’s boarding teams, supported overhead by her Lynx helicopter, searched and secured the Yemeni-flagged dhow. 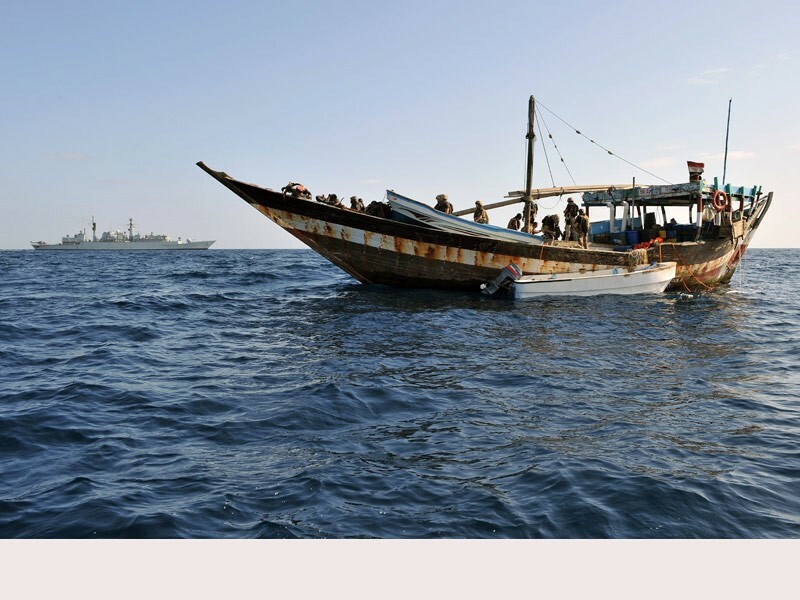 An initial search found 22 people on board, three skiffs, powerful outboard motors and various items of equipment associated with pirates boarding merchant vessels, such as ladders, enabling the dhow to act as ‘mother ship’ for a group of pirates operating in the area. Five of the people on the dhow were the original Yemeni crew who had been held hostage for 92 days. 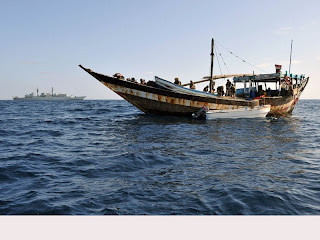 “Our presence in the area has had a hugely significant effect on the lives of five Yemeni fishermen, who have been freed from over three months of pirate captivity and can now return to their families. 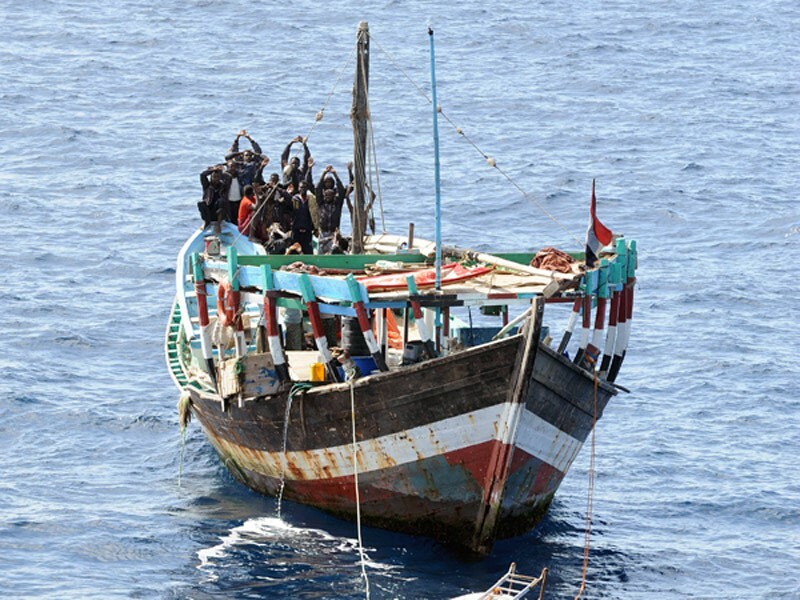 In addition we have restored a merchant vessel to legitimate use on the high seas and my highly trained team have conducted a very slick boarding operation which has ensured that this pirate vessel is no longer able to operate. All photos from the Royal Navy. Yes! BZ Cornwall! Yet another instance of a stolen vessel being used as a 'mother ship'. It appears all of the 'mother ships' are actually stolen vessels.